For exhibitors, showing off their products at audio shows is a crap shoot. The vagaries of arbitrarily assigned hotel rooms with unpredictable acoustics can play havoc with the sound of even the best-sounding systems. But over the years I've been attending shows, Joseph Audio's dems have always impressed me with how Jeff Joseph manages to set up his speakers so that they work with instead of against a hotel room's acoustics. Yes, Joseph's setup skills, going back to his days in audio retail, play an important role here. But his speakers, too, need to be of sufficiently high quality to benefit from those skills. And if they can be made to sing in a hotel room, they will also stand a better-than-usual chance of doing so in audiophiles' homes. Michael Fremer had raved about Joseph's stand-mounted Pulsar ($7700/pair) in June 2012, so I felt it would be a good idea to review the floorstanding Perspective ($12,999/pair), which combines the same SEAS tweeter as the Pulsar with two, rather than one, of that Norwegian company's magnesium-cone woofers. I'd originally asked Erick Lichte to review the Perspective. However, when I listened to the speakers in his Portland, Oregon, listening room, following a trip to San Francisco in the fall of 2012 to take part in a panel session on "The Loudness Wars" at the Audio Engineering Society convention, it was obvious that the Perspectives were incompatible with his room. 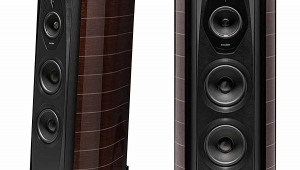 To say I was surprised by this incompatibility was an understatement, given my experience with Joseph speakers at shows and my auditioning of the Revel Performa F30 speakers in the same room. However, as I felt that what I was hearing in Portland predicted that the Perspectives would work well in my own room, I reassigned the review to myself. The Perspective is a handsome tower 36" high. 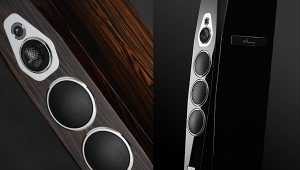 The front baffle, rear, and top panels of the American-made cabinet are finished in gloss black, and the side panels have wood veneers with a mirror-like gloss finish. The Perspective sits on an outrigger bar fitted with cones at its front and cones alone at its rear, which stabilize the speaker and tilt it up slightly. 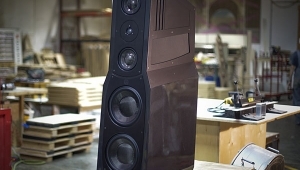 The tweeter and twin woofers are mounted on the baffle, which is subtly profiled around the tweeter to optimize the high-frequency horizontal dispersion. 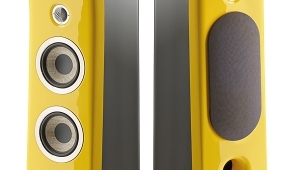 The woofers are reflex-loaded with a large, rear-panel port 2.75" in diameter and flaring to 4". The Perspective's woofer alignment can be modified by inserting a foam lining in the port, which reduces its inner diameter to 2". I asked Jeff Joseph which he preferred: foam liner in or out. "The option of removing the foam liner will lift up the bass and allow it to fill a much larger space than you would expect. With the liner in place, the Perspective will have the best bass articulation, the best bass extension and clarity. Bass is like ketchupketchup tastes good with some things but it doesn't taste good with everything. Similarly, [a speaker's low frequencies] have to be in balance, the bass has to have articulation and clarity, and that's what you get with the foam liner. But there will be cases where this would be too lean a balance for a large room, so you pull out the plug and now you have a [rich balance]. In most listening situations, having the foam in the port will be what I prefer to hear." The drive-units are all from SEAS's premium-priced Excel series. (Jeff Joseph has worked with SEAS for 20 years.) The 1" Millennium tweeter uses a Sonatex, impregnated-fabric dome, with tiny neodymium magnets behind the dome to minimize any reflection of the backwave. 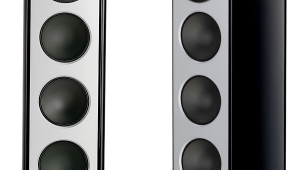 The cones of the 5.5" woofers are made of an alloy that is 93% magnesium. Each cone has a distinctive-looking, stationary copper phase plug at its center; the tweeter has a similarly distinctive copper finish to the short flare around its dome. Within their passbands, metal diaphragms are inherently pistonic. 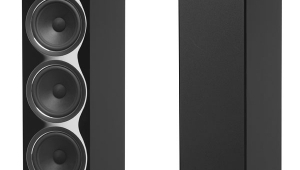 SEAS chose magnesium for the woofer cones because it is significantly less dense than the ubiquitous aluminum: for the same mass, the cone has 60% more material. This results in greater stiffness andperhaps more important, considering the tendency of metal cones to suffer from high-frequency, high-Q resonancesgreater self-damping. However, magnesium can't be spun or stamped; it must first be die-cast, then machined, which increases their cost. The magnesium woofer cones are terminated in relatively large rubber half-roll surrounds, to give the driver the ability to reproduce a wide dynamic range. 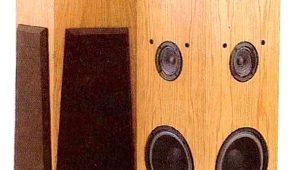 Speakers from Joseph Audio's early days used crossovers featuring Richard Modaferri's patented Infinite Slope topology, in which a modest network (in terms of number of components used) produces high- and low-pass filter slopes in excess of 100dB/octave. The Perspective and the Pulsar, however, use what Jeff Joseph calls an Asymmetrical Infinite Slope Crossover set at 2kHz, which attenuates the woofers by about 41dB. There is a slower initial high-pass slope for the tweeter, which is robust enough to handle high powers at the bottom of its passband. The very limited overlap between the drivers should allow the Perspective to deliver a smooth, even response over a wide angle in both the vertical and horizontal planes. 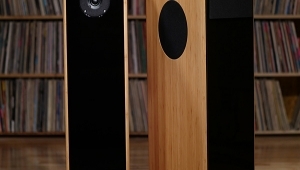 Each speaker's network is precisely adjusted to match the original prototype. Electrical connection is via two pairs of Cardas "one-handed" binding posts at the base of the enclosure's back panel, below the port. Once I'd received the Perspectives from Erick in January 2013, I set them up in my listening room to do some preliminary auditioning. 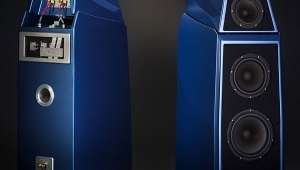 (They replaced the Vandersteen Treos, which I very favorably reviewed in the March 2013 issue.) A few days later, Jeff Joseph swung by to check on my setup. After just a few tracks, he felt there was something not right: The tweeter of one speaker was audibly softer than that of the other. Perhaps something had happened in shipping the speakers from Long Island to Portland and back to Brooklyn. Joseph felt it would be best if he took the speakers back home to check what had gone wrong, and promised to send me another pair after his investigation. I was occupied with reviewing other speakers throughout the rest of 2013, so it wasn't until January 2014 that I was able to resume this review with a pair of Perspectives Jeff Joseph was confident had representative tweeters. We initially positioned this pair where the earlier samples had been, and Joseph then fine-tuned their placements. The setup ended up slightly asymmetrical: the left speaker's woofers were 28" from the LP cabinets that form the nearest sidewall, but the right speaker's woofers were 38" from the bookcases facing that wall. Both front baffles were 74" from the wall behind them, and the speakers were not quite toed in to the positions of my ears. With the speakers tilted back on their front outriggers, this put my ears, which were 36" above the floor when I sat down, exactly on the tweeter axes and 122" from the baffles. 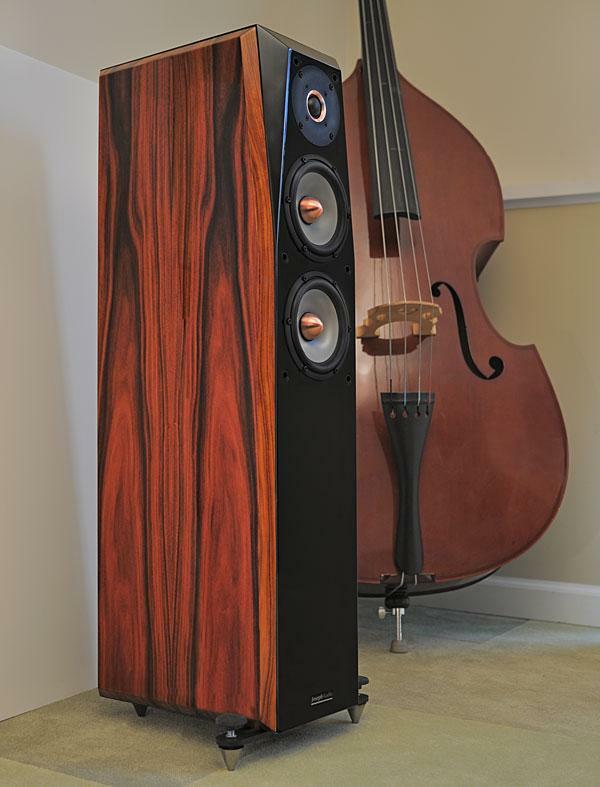 Does the 13 000$ big ones get you the speakers, and that giant violin? Yes, it adds lots of "bass"! JA wrote, "...in fig.3, the upper woofer crosses over to the tweeter at a slightly lower frequency than the specified 2kHz, with a steep rolloff broken by resonant modes at 6.2 and 9kHz. These are well suppressed by the crossover..."
What I think we are seeing at 6.2kHz in your measurement is not a modal breakup resonance of the diaphram, but rather is the low pass crossover response above the notch at ~3.8kHz. The peak you measured at ~9kHz is more characteristic of the modal breakup resonance of Seas' Excel W15 family of woofer diaphrams. The low pass crossover displays characteristic effects of an elliptical filter that combines a notch and low pass, with the notch steepening the intial rolloff of the low pass. For a description of this take a look at Albert Neville Thiele's US patent 6854005. The magnesium woofer without a filter has resonances as JA correctly noted at 6.2 and 9kHz, but the woofer's highest peak is actually at 4.9kHz! (about 5dB above the 6.2kHz resonance). JA's measurements confirm that the resonances are well-supressed. I have not heard this particular JA speaker. I have heard the JA Pulsar at an audio exhibition. JA speakers are out of my price range, but it was a privilege to hear the Pulsar. 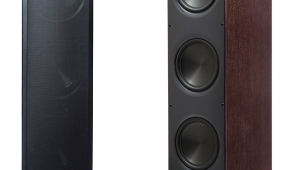 The diminutive Pulsar projects an enormous soundstage that simply belies its size, and exceeds that of some larger, dare I say floorstanding, speakers. 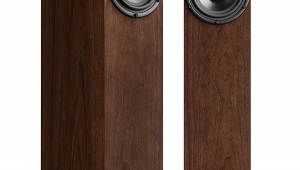 The build quality of these speakers is something that you have to see in person to appreciate fully, though they look great in this article, too. 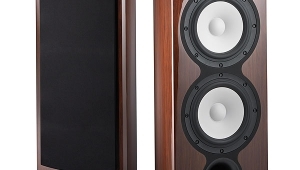 The top-end Seas drivers used in these speakers are heartily capable, and maintain their composure, even at the highest volumes. They ably handle powerful amplification (I heard them with Hegel integrated amplification). 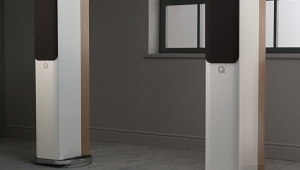 JA Speakers are fine products. I hope those interested get a chance to hear these speakers.